I feel bad for ponchos, they get a bad wrap. Misunderstood and worn incorrectly. Seen covering up an entire body on a cold day looking like a big fringe blanket. Is this the poor poncho’s problem? I say no, it is the user’s! 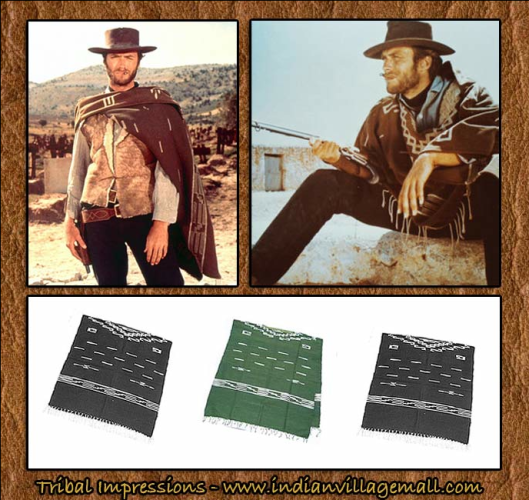 I am here today to clear up some old poncho myths and perhaps get you to see the poncho in a whole new light! First, get this look out of your head. These may work for some, this is not what I am referring to today. Just want to be clear. Clint Eastwood rockin’ his poncho look. It’s available in 3 color ways. Now that we are on the same page let’s talk ponchos. 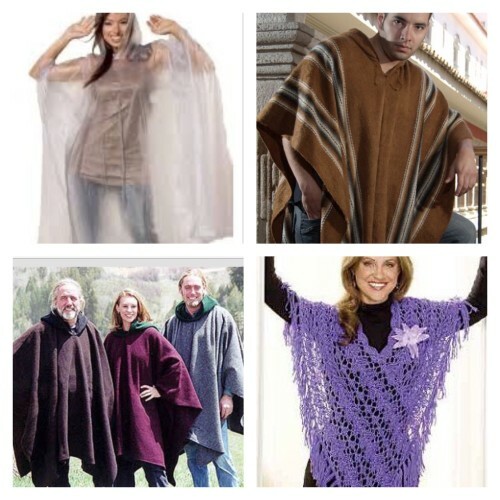 A poncho is a garment that allows freedom through the arms and can be worn belted or not. It can be worn casual or for evening and is a great fashion statement. All you need is a streamlined uniform underneath and you’ll have instant style. Ready to walk out the door. Yes and no. There is the true classic look, boho look and crossover look. It’s what works for you. Great classic looks are available in all price ranges. 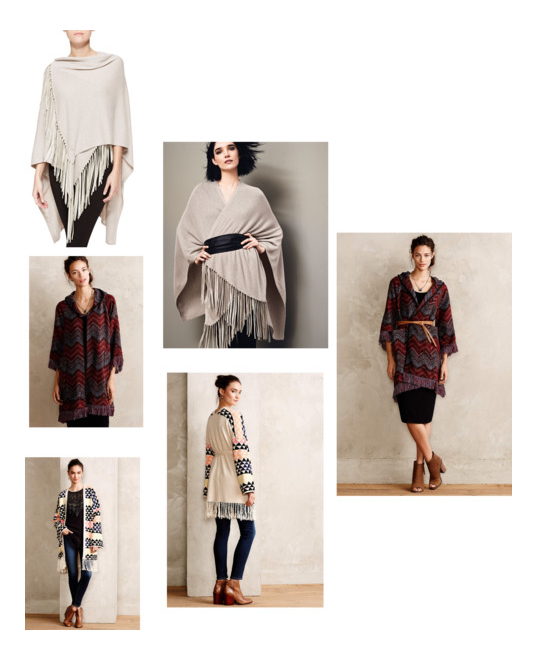 The fringe, pattern and shape give these options a more carefree casual look. Ponchos with a bohemian flair. Click here for my Polyvore Set and links HERE. Recently while shopping in NYC, I met a talented stylist in one of the shops. I was trying a poncho on and told him it just felt too full. He took off and was back in a flash with 2 belts and a kimono tie. He instructed me to stand still while he belted this thing in ways I couldn’t have imagined. 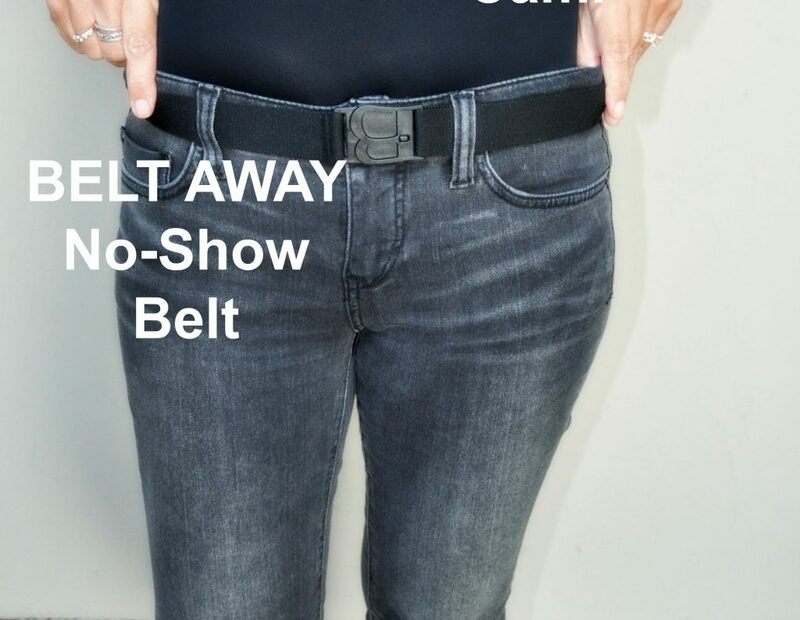 What was interesting to me was how just playing with a belt gave my sweater and entirely different look. In the collages via Pinterest, all 8 photos have ONE thing in common. Did you notice? All the ladies are wearing fitted garments under their poncho looks! You must go fitted underneath or you will look like a walking blanket, I promise! On top: a fitted tee, turtleneck or shirt. I say longer the better. On bottom: a legging (with a tunic or long shirt over it. Remember LEGGINGS ARE NOT PANTS!! Say you get hot and have to take your poncho off then what?). 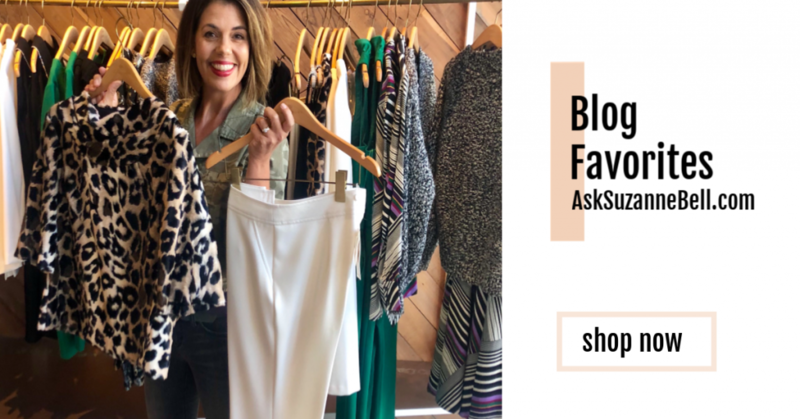 A skinny jean, skinny ponte pant , faux leather pants or straight leg jeans. Key is keep it all close to the body. 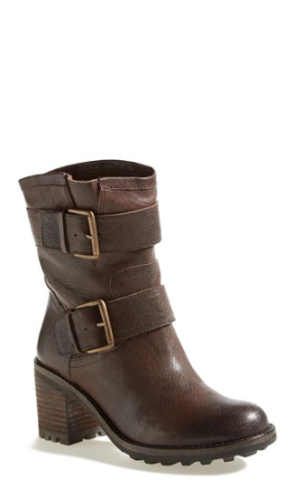 For shoes: with leggings I like tall boots. 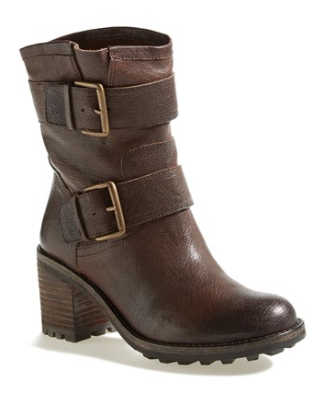 With skinnies, tall boot, a bootie (if the jean is slightly cropped) or ballet flat. With straight leg denim (cuffed or not) I like booties or flats. Here are so many bottom options out there, find the one that works for you. A few easy outfit combos. Add a fitted tee or white shirt to any of these combos and out the door you go! Easy pant/shoe combos that work well with ponchos and oversized sweaters. 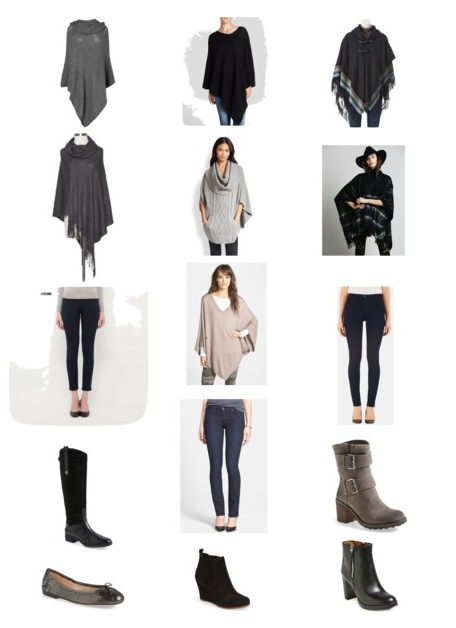 For links to items above click HERE for my polyvore set. Will you be trying out a poncho this year? 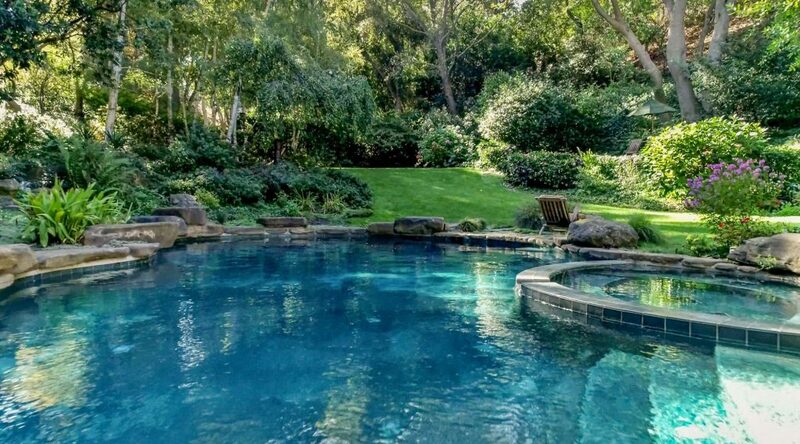 There are so many great options out there maybe take a look! The key is finding one that works for your body type, doesn’t wear you and fits your personality! Love the poncho/cape with the fur neck wrap.! I also bought the suede wedge boot..
Hey, even a Grammy can wear these…thanks. I love it that you got the boot! What a deal, huh? I wear mine all the time! Lynn, on the poncho with the fur. You can get that fur snood/infinity scarf separately as well. I am doing some research on it to share in a future post. As you know, I love fur trim, that look was one of my favorites as well! Love this posting.Im running out to add a new poncho to my closet . Already have the boots thanks to your advise ! Great info ,great job you’re the BEST !!!! O. K., a grandma can wear the boots. How about the leggings? What is appropriate so that I don’t look like “mutton trying to look like lamb”? Love you blog and your ideas. Hi Carole! Thank you for stopping by! Yes, you can wear the boots and the leggings!